Our revolutionary business management system that gets you from quote to cash in a SNAP! SNAPvantage is a business and operations management system designed by people in the communications industry for people in the communications industry. It streamlines everything a service provider needs from pre-sales activities like quoting to post-sales tasks like billing in a true "quote to cash" solution. With step-by-step project management, automation, and default templates, SNAPvantage can take a complicated multi-platform process normally managed by several highly trained technicians and turn it into a simple job that can be managed by employees of any skill level. This allows you to cut out the costs of the duplicate software platforms, consolidate your efforts into managing a single solution, and free your skilled employees to work on revenue generating activities. Combine with SNAPsolution for a complete service provider package! SNAPvantage automates the porting process to eliminate order input mistakes. Simplify BSS / OSS processes with customizable step-by-step guidance and templates that anyone can use. Instant commissions and quota attainment reports for real-time sales forecasting and reporting. 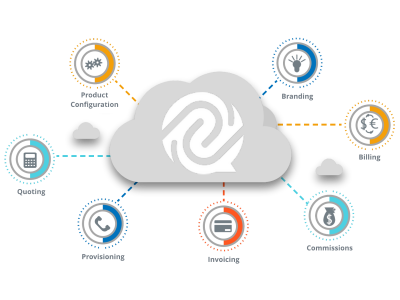 Auto-provisioning and drop-ship fulfillment reports for real-time sales forecasting and reporting. 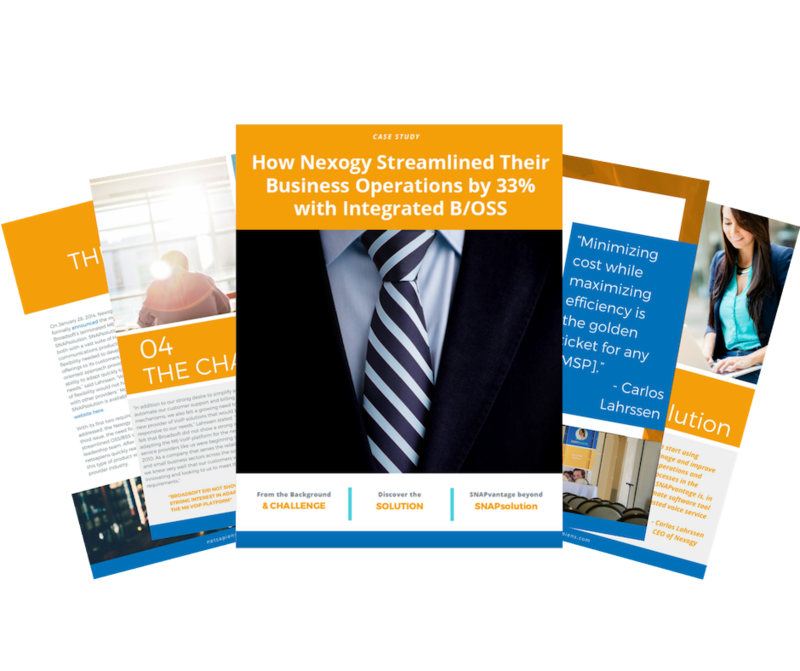 Learn why Nexogy went from searching for a BSS / OSS solution to saying "SNAPvantage is, in our opinion, the ultimate software tool for MSPs, ISPs, and hosted voice service providers"